I have worked with many people in improving their trading performance. I have also worked with people to improve other areas in their lives. Leaving the more technical psychology stuff aside, one thing that stands out in those people who can help themselves into doing better, be that health related or financial well being, is their practice of writing a journal of their experience. The practice of writing a diary dated all the way back in history. The most famous one is probably Meditations written by the Roman Emperor Marcus Aurelius. It is now well recognized that keeping a diary has many benefits in terms of mental health and personal growth. To put this in perspective, having a diary is like having a journal of things happening around you and your emotional responses to them. This makes the diary a good source of information about yourself enabling you to reflect and learn about yourself in a more objective manner. Similar approach works very well for those people developing professional careers. Pro athletes journal their training and use that as a source for refining their performance. Yet, many people who want to improve their lives keep seeking outside educational resources as oppose to look within themselves. I am not saying better educated in the subject you want to learn is not necessary. They are vital building blocks to make one more knowledgeable. But at the end of the day, it is how we use the knowledge we acquired that makes the difference. Since applying what we know is not an exact science, it can take a long time with many attempts before we find out what is the best way in utilizing our knowledge in our own special situations. This calls for writing a journal. For traders it will be the documenting of each trade and the reasons why you put on the trade, how you planned to manage the trade and the outcome of the trade. Over time, we will notice patterns emerge from the journal giving us new insights about ourselves. For example, you may believe that your special secret trading setup brings you good profit but your journal serves as the cold hard evidence that it may not be true. Human does not change their beliefs and behaviours easily on things they have conviction on. This is called conviction bias (or simply stupidity). 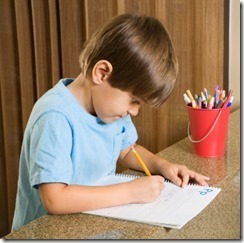 Keeping a journal makes it much easier to face the reality as it is not brought onto us by remarks from others. Depending on our character, criticism by others can easily be rejected as our ego turning defensive. Even the person making the remarks has good intention, the response from most of us will largely be based on the tone and the way the message was delivered as oppose to the content of the message. If we make the comments ourselves through our journal, meaning that we criticize ourselves honestly, it will likely be in the form that can get into our mind the easiest. 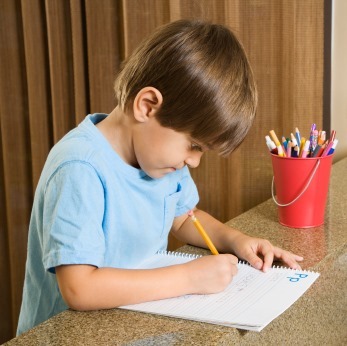 Writing your own journal on your pursuit of a specific goal serves many purposes. It is a stress release tool while you are writing down the experience. It is also a source of information for self improvement when you review the journal. If your pursuit is related to business or trading, the journal can also be used as an important reference for writing your business plan or trading plan. There is always something we like to do better in life – start your journal today. One cornerstone in achieving trading success is the completion of your trading plan. I am not talking about a vague idea you have in place on how you engage the market. 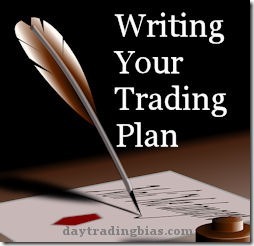 I am talking about a solid written plan that describe all aspects of your trading. This plan is what you would follow during trading no matter what happens. Thus, the plan has to be comprehensive enough to cover many scenarios that you may encounter during trading. The process of writing your own trading plan can be described as a discovery process of yourself and your best chance of success in trading given the circumstances you are in. Famous traders throughout history have given us ample descriptions of what constitute a good trading plan. However, their approaches to writing the trading plan varies drastically. This boils down to one reason why we are not getting a simple answer for the definition of trading plan. There is no clear definition of trading plan because no one can agree on what a trading plan is. For some, a trading plan is simply how they are going to engage the market with entry and exit methods. For others, they need clear rules defined to guide them on position sizing in addition to precise entry and exit strategies. The better trading plans, judged by the success of the traders I have seen, often include trading goals and performance targets in addition to the topics mentioned above. For those successful traders who treat trading very seriously, they go all out with a comprehensive business plan covering all aspect of their trading businesses. As a summary, I will say a trading plan should be a complete business plan covering all aspects related to one’s trading business. For certain parts of the plan, depending on the trader’s experience with trading, may be skipped or very brief in nature. For example, the trading platform choice can be one of the topics coming up in the trading plan. It may not matter at all in the first trading plan on what platform you are going to use because you have access to only one platform with the brokerage you are using anyway. But down the road, you may find that using a different trading platform can be more convenient or efficient for your trading need. Having information on trading platforms in your trading plan with your pros and cons analysis on different platforms will help you choose the right one. 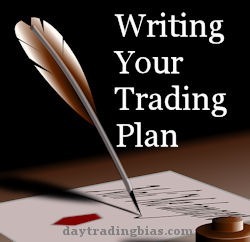 Many people think that writing out their trading plans is not necessary since their approaches in trading are very simple. When I made them doing it the resistance grow as if I am questioning them whether they know what they are doing. Some go all the way with anger and refused to even verbally explaining their plans in details. Many others say that they cannot write out their plans because they are so complex that it will become a tedious task that takes up too much time and effort. I questioned them whether they can fully comprehend their own plans. Given how complex their plans are, it is doubtful they can execute their own plans correctly. Procrastination of writing your own trading plan is a sign that your ego is defending itself. As a person, our egos gives us a sense of identity and assurance of self worth. When we force ourselves into writing out our trading plans, for our egos, it means facing the past trading mistakes which is something unpleasant to do and definitely something to avoid. Since majority of people do not like to face judgment by others, let alone facing our own honest evaluation, the writing of our trading plans become a very difficult task to do even though we know it is very important to have one. To overcome the procrastination and to stop your ego from jeopardizing your effort to complete your trading plan, remind yourself that almost all traders who trade without a good trading plan in place eventually will fail miserably. Visualize the joy of success when you trade with confidence and stress free thanks to having a trading plan in place. This should motivate you to get started with your writing. Many traders I work with took a long time before they finally took the plunge to write their first trading plans. As the process started and my feedbacks to them got the ball rolling, they would open up and no longer feel bad when talking about their trading mistakes. The ability to acknowledge the past empower them to use the past experience as a guide to do better in the future. A trading plan is the summary and logical extensions of what you know about youself, the market you trade and other factors affecting your trading that enables you to trade profitably when you follow your plan. But it is impossible to write your trading plan properly until you have tried to trade in various ways and methods first to gain the necessary basic knowledge. As an example, one cannot write a business plan that makes sense on running a restaurant without background knowledge on how to source the food supply, on the customer preferences given the traffic pattern of the chosen location, etc. Hence, giving trading a try without a plan in place is a necessary step. Reading up many trading books to gain some background knowledge about trading is also useful. There is no right or wrong approach to trading at this stage with the exception of capital preservation being the highest priority. Since there are many simulator for trading out there nowadays, it is now much safer to learn trading comparing to many years ago. Some people get the chance to trade at trading firms with good mentoring programs have the advantage of gaining knowledge of best practices and good trading habits. But normal people who give trading a try themselves can also learn about these things from books and trading coaches. Eventually, it depends on the person to take on the better ideas and integrate them into their own trading routines. Unrelated to writing the trading plan but important for trading success, is that during this knowledge acquisition phase, one should learn to control or separate emotions from trading. If it is done right during this phase, you will save a lot of time when you go into the next step of trading with real money. To best utilize the learning phase of trading without a plan and trying out various trading methods is to write down your thoughts, feelings and trading results as if you are your own coach analyzing your trainee. Do not let your ego equate the results as your own success or failure. Think of this as an experiment that you have conducted to test what works for you. The information you gathered from this process will help you figure out what will likely work best for you in real trading. Psychologically, it is difficult to change oneself especially those bad and destructive behaviours. In trading we often encounter moments that trigger our emotions and next thing we know we could be trading out of control. It happens to everyone and the good traders learned to put this under control by two key elements. First, having a balanced mind and body before we start our trading day. This can be achieved through better lifestyle, mental exercise and physical training. Second, delegating the majority of the decision making process into a well constructed trading plan. Hence a trading plan is a very important component in keeping ourselves from hurting our trading business. The power of a written trading plan lies in the fact that you have put a lot of effort in thinking about all the things that can happen during trading, making you more mentally prepared and ready for uncertainties. As oppose to reacting emotionally to sudden changes in the market, you have planned reactions based on your trading plan that was written with well thought out decisions that are logical and protective of your trading capital. In short, your trading plan is your commitment to yourself to trade more responsibly so that your trading goals can be achieved. Without a plan in place, your emotions swing harder during trading and in turn affects you from making sound trading decisions. A good trading plan is one’s ticket to better trading consistency. This issue comes up often as many traders keep saying they do not know what to put into their trading plans. The problem, however, is not that they do not know what to write in their plans as there are many books and online resources talking about trading plan writing already. The problem is that these traders need feedback from others telling them if their trading plans make sense. They also want to know if something is missing from their trading plans. The dilemma of letting others to review your trading plan is that your personal feelings and details may not be suitable for public discussion. Unlike a dissertation written by a PhD candidate, trading plans often include our character analysis or even some deep down feelings about ourselves that is preferred to be kept privately. This is the main reason why you do not see successful traders having their trading plans disclosed publicly. Not only because there are proprietary trading secrets within their trading plans, it is also because of personal matters are not suitable for public disclosure. Hence, an alternative approach is to find a trusted trading partner or a reputable trading coach to assist you in writing your trading plan. Hiring a trading coach sounds expensive but stuck at the learning phase of trading and not able to move pass your own trading obstacles is even more costly. It is common some professional traders spend several weeks every year working with their trading coach to revise their trading plans. It is no different from good entrepreneurs having their advisers helping out with the revisions of their business plans. To put this into perspective, it is all part of the cost in running your business. Trading is a craft that takes both knowledge building and experience accumulation. During the process of gaining on both grounds, our thought process can be so crowded it affects our ability to perform consistently. The key to separate our learning self and performing self while monitoring the markets is to lay down a clear guideline for ourselves to follow in trading. Such guideline is best expressed in the form of a trading plan. A trading plan has to be as detail as needed to suit our personal belief system so that we are convinced to commit to the rules and boundaries we set forth for ourselves. We have to write it in a way that utilize our own best judgment so that we are confident that when we follow our plans it is the best way to conduct our trading. Nothing can replace a good trading plan. Having one in place promotes better consistency in trading performance. It also builds confidence in ourselves while we face uncertainties every trading day. I have seen all kinds of metaphors about traders who can make money from trading all kinds of financial markets. For example, many traders like to think of themselves as some kind of martial artists including ninja, samurai and karateka. There are also traders who prefer to think of themselves as snipers and big game hunters. They are all good metaphors in terms of describing the mental aspects of these traders but it always feel like the labelling is lacking something. Hence I am coming up with my own metaphor for being a Tai Chi Trader. Let me explain why I see myself this way and why it is a good idea to be a Tai Chi Trader. I started practicing Tai Chi and other classic Chinese martial arts since I was little. Rigorous training all the way thanks to having great teachers guiding me. Thus, there is no pretense at all when I choose to call myself a Tai Chi Trader. 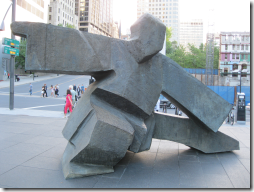 What I have learned from Tai Chi shaped my view of the world and ultimately on trading. It also helped me looking outside the box which eventually led to the findings I summarized in Special Theory of Price Discovery. Tai Chi is an art form that you commit to with life long practice. Perfection can never be attained because as our bodies grow old, we have to adjust our practice to accommodate the changes within us. Our expertise gained from practice enables us to better ourselves in handling all kinds of crisis situations. It is a forever quest for inner peace, higher level of consciousness and the perfection of the art of killing. Applied Tai Chi is a subject of controversy so I will try to make it general and less intimidating. The original application of the art is to fight in a sea of enemies where you are alone and trapped. The expected outcome is that you are the last person standing. Hence, without the proper mindset or understanding of its purpose when you learn the art, you will not get the best out of it. In fact, most of the moves do not make sense until you realize you are learning to kill, not fight, as many enemies as possible in the shortest amount of time. 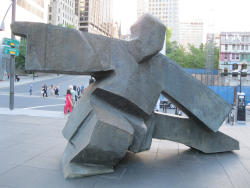 Tai Chi principles are very much the best principles in the world for day traders to adhere to. One of the reasons why these principles are good for trading is the underlying thinking of controlling the one thing you can control, which is you, and extend it from there. It is very similar to the modern psychology of a better mental state can lead to better performance in all kinds of crafts. Hence investing into yourself by training yourself better at handling crisis situations can directly benefit your trading because of stronger mental toughness. The effects of emotional responses I talked about in my other writings is a primary source of trading errors, being able to deal with that at ease is a tool many traders can only dream of. Tai Chi strategies and tactics in dealing with the enemies are also very useful in terms of formulating a good trading plan that is practical for retail traders who often are not well capitalize. Tai Chi’s principle to wait for the right moment in time, for which you are standing in relatively advantages position, before any offensive moves are used is a great concept to remember when you are creating your trading plan. Another Tai Chi principle is the observation of enemies who are so fast that on the surface they are unbeatable but in reality, because of the intention they have, which is to hurt you, their actions are predictable. Hence these enemies can be defeated if you wait for them to make mistakes. Does this remind you of the predatory market making algos and the HFT bots? In aggregation, these bots need to make money and the intention itself tells you there are patterns that will emerge from their actions. By being observant, you can identify better trading opportunities for yourself and take money from these bots. The original Tai Chi teachings also include the concept of taking controlled damage when situations are not favourable. A lot of training is done to ensure that being hit by the enemies are resolved at minimal damage while maintaining control of yourself and the situation. This part of the original Tai Chi is seldom taught anymore because of its extremely practical value in real fights. This concept is exactly one of the hardest thing to do in day trading for which taking small losses can be a very stressful problem for many traders. But taking losses is not an issue at all for Tai Chi Traders because we are well trained to accept small losses out of necessity until the right moment to make it back. We know we are giving in to the circumstances through training thus our emotions are not affected as much. I can keep going but you probably get the point already. Tai Chi principles and teachings are interestingly useful for day trading. The financial markets before late 1990s was a very different world from the one we are dealing with today. The markets went through multiple major changes over the years and no longer resemble the slower pace and more rhythmic style of price movements that was common way back then. Today, the markets are moving more like the weather in a desert for which sudden changes can happen anytime. Traders not trained with a mindset to prepare for anything to happen can easily caught off guard and affected by the outcomes both emotionally and financially. The financial markets are in the centre of this world of chaos. The fast changing environment can be a challenge for many traders but not to the Tai Chi Traders. This environment presents golden opportunities for the Tai Chi Traders because we are trained to survive when dealing with adversities. Thanks to our willingness to accept small losses without losing our confidence, we can observe and adapt to every situations more quickly. At the end of the day, Tai Chi Traders are the ones who are still standing when the battles are over. I know people will ask about this so let’s get it over with. The classic teaching has very accurate and efficient anatomical techniques to seriously damage internal organs of humans, dogs, wolves, etc. They are very specific and they are very deadly. Most people love to argue for argument sake that these instructions are all bull. So let’s put it this way, some of these techniques to damage internal organs on humans are now part of the training materials in many special forces around the world. Remember Tai Chi is not the only martial arts with such secretive teachings passing down the generations. Many other martial arts also have their own discoveries on efficient techniques to hurt people. For example, there are at least a dozen of ways to break joints without using brutal force. It is not necessary a validation but ancient people are not as stupid as we think they are. Science is just playing catch up to human physiology that some of these martial art disciplines have studied for a long time. In comparison, science has the advantage of systematically discovering new things while the ancient martial art masters have to accumulate their experience over many generations to get just a few useful techniques. 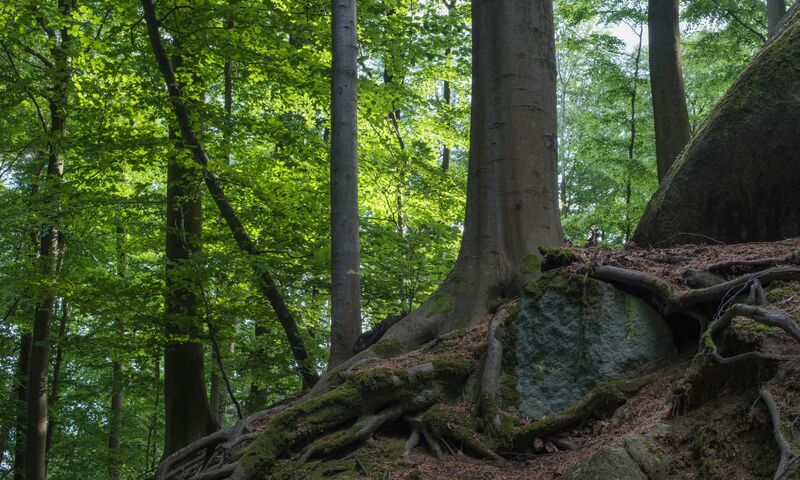 Being a Tai Chi Trader has many advantages – you stay calm in handling the markets, you are relaxed when not dealing with the markets, your approach to the markets allows you to trade successfully without exhausting yourself mentally or physically. All these are excellent foundations for you to build a successful career in trading. More importantly, they are also the secrets for life long success in trading and other pursuits.